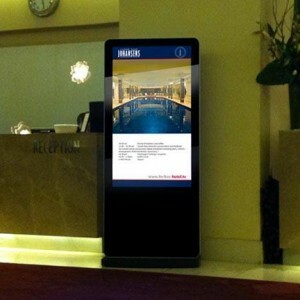 Free-standing Digital Advertising Display Totems with built-in media player. PC, DVD player, extra cables or software. 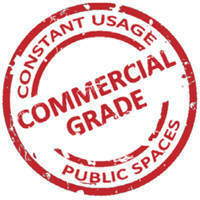 Simple to use and are purpose built for 24/7 commercial environments. with 65″, 70″ and 84″ models built to order. 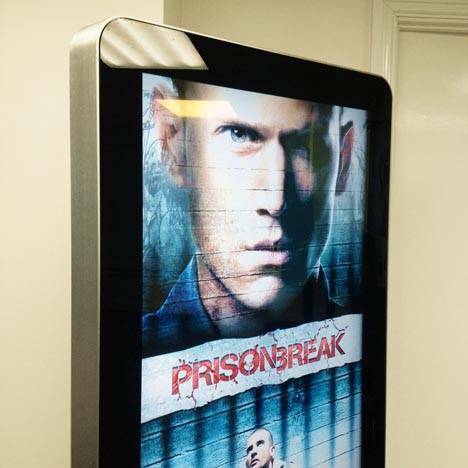 These ePoster displays are an ideal solution for those looking for simple and effective Digital Signage with the minimum of fuss. 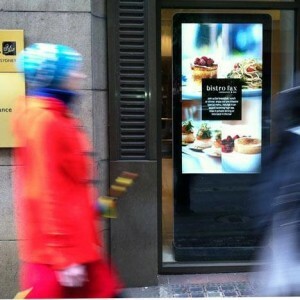 They provide the quickest and easiest way to get your message across to your clients and customers. 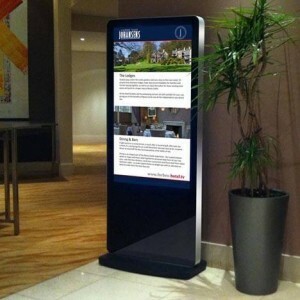 Ideally suited for static or moving advertising material, timetables, menus or any type of Public Information display. Easy to relocate they can provide pop-up information points for hotels, conferences, exhibitions, sporting venues etc. 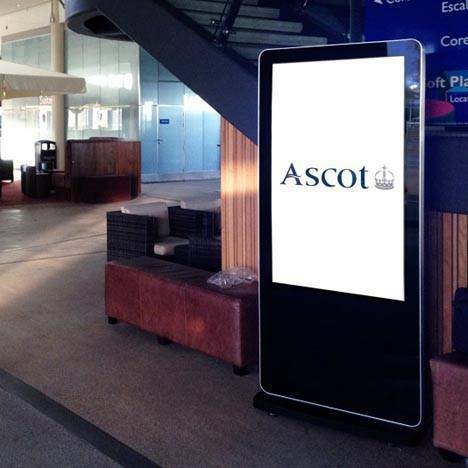 The tempered glass front, rounded corners, super slim profile and aluminium frame all add to the eye-catching tablet like aesthetic of these sleek totems. 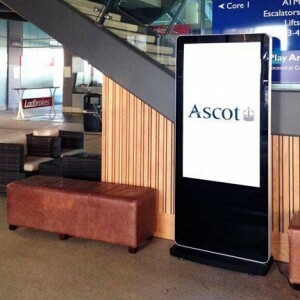 The smart looking and familiar design blends seamlessly into any environment. 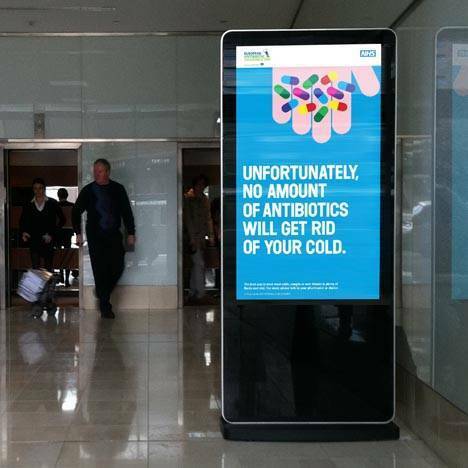 These high-definition displays are simple to use and are purpose built for commercial use. 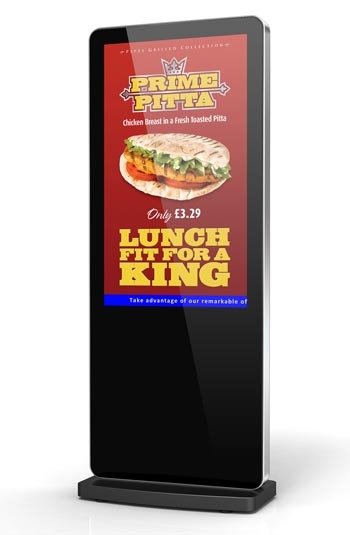 Simply load your media onto a USB stick, insert it into the screens upload port, remove when prompted and it is ready to go. It really is a plug and play solution. The displays are fitted with commercial grade LCD panels providing them with wide viewing angles, exceptional colour, contrast and brightness, and crucially the ability to operate 24 hours a day. 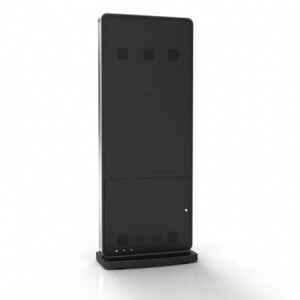 With an eco-friendly power timer and low consumption LED backlight you can be assured of their green credentials and overall low operating costs. 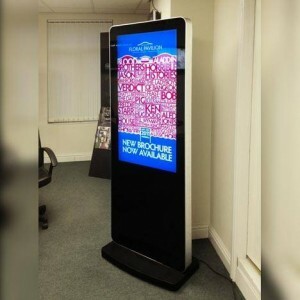 These new Slim Digital Advertising Displays also feature HDMI and VGA inputs, allowing you to connect external video sources such as a PC or external media player. 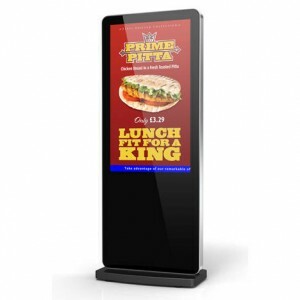 Designed and built as a standalone product for simple local updates these Digital Advertising Displays can also be upgraded to accept network updates. Upload and manage content remotely via LAN, Wi-Fi or even 3G. With built-in wheels these digital advertising displays are easily manoeuvred from location to location making them ideal for temporary signage or exhibition usage.